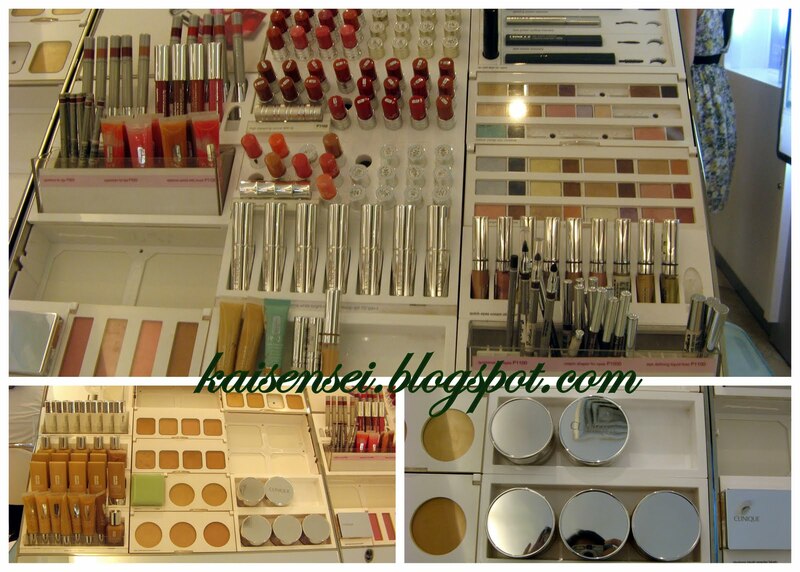 Whenever I hear or see the word CLINIQUE, I am always brought back to childhood memories of playing with my mom's makeup kit and secretly putting on my mom's clinique makeup! She had eyeshadow, mascara, and a lipstick that I really wanted bad. I remember bugging my mom about it til she finally agreed to give it to me.. and it was my favorite! It was already half-used when I got it and I was just too happy to complain about that and used it all up! I remember using it everyday during college. It was my number one lipstick at that time. I also had a small clinique brown eyeshadow that I carried with me during my college days. It was lightweight and so easy to use. So when _wickermoss_ (charlesangel) announced in her blog that she's going to hold a CLINIQUE party, I really wanted to join! I was already in the midst of emailing her about it when I double checked my calendar and realized that it might be in conflict with an important school event. I asked if I could be just a little bit late to the party. Charlesangel is such a dear for being understanding. 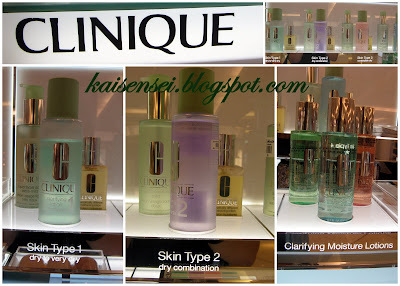 So in other words, I arrived at the Clinique party last June 18 at Rustan's a little bit late. The party has already started. I was one of the last to arrive with Jen. It was all good though coz it would take some time before a skin consultant could attend to me. Clinique had three skin consultant's at that time and were attending to the other bloggers at the event. So I had some time to get to know some of these awesome "Beauty" Bloggers and Vloggers. I really enjoyed talking to all of them and make great friends with them. with the darling APPLE of Appledapple!!! She's super pretty! Bianca and Mich were already all dolled up by Clinique! They look awesome! We talked, ate awesome snacks from BIZU, and took photos. LOTS of photos. hehehe..We really should hang out again soon! 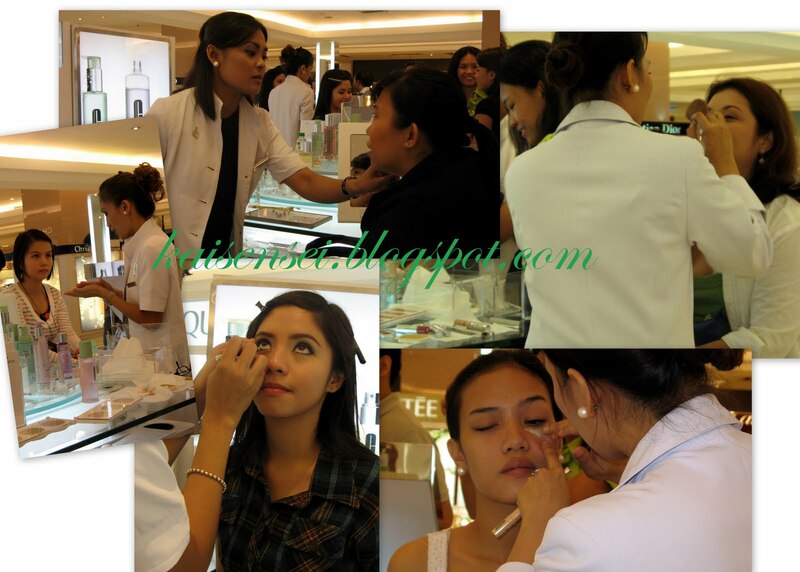 BLOGGERS with their Clinique Skin Consultants giving them a makeover! Then my turn came and I had a skin consultation with Miss Baby. She has amazing gentle hands and I really learned a lot from her. I will be talking more about that on my next blog post. All in all I really had an amazing time. I just wanna thank wickermoss' Charles for hosting this Clinique party. I love it! 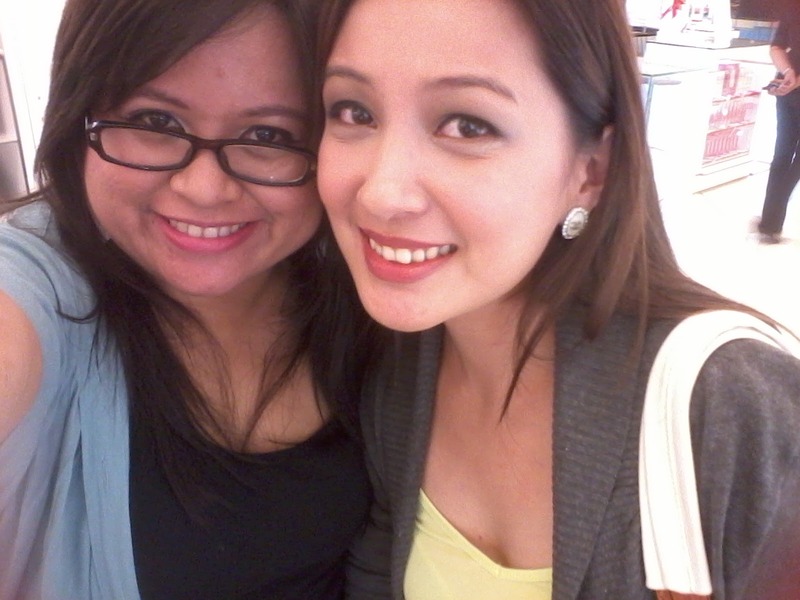 I really had fun meeting up with you again and also getting to know new bloggers. :) Everyone was nice and friendly. Thanks also to Clinique and Miss Mira for the amazing makeover and some Clinique products that I was able to take home. I know I have a picture with Miss Mira somewhere, but its not on my cam. I think its with Lorena! By the way thanks Lorena for all the wonderful pictures that you took.. now if only I could get a copy of some of those... hehehe..
with LORENA! Thanks for the photos! Me with Charles and Jen. 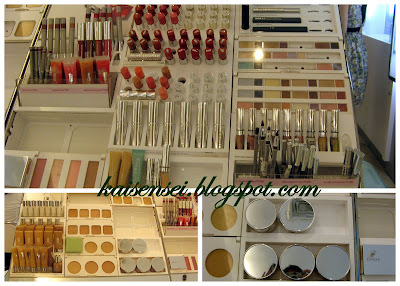 And so this is a summary of my first "beauty" event! Next post I will share to you what Miss Baby revealed to me that you should also know about and also show to you the Clinique products that I got to take home. P.S. Visit Clinique Website for more clinique information on their items.